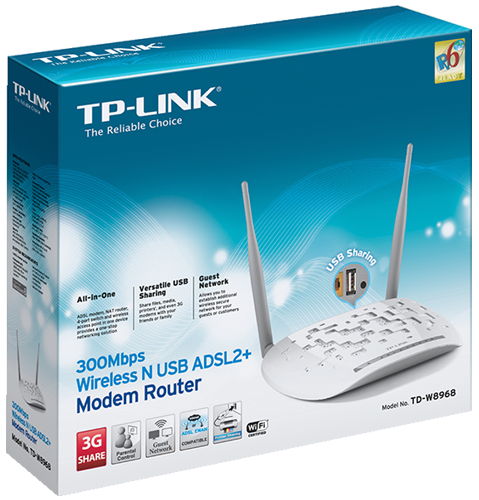 TP-LINK’s TD-W9970, comes with the latest ITU-T G.993.2 VDSL2 standard, providing up to 100Mbps speed downstream and up stream, compatible with ADSL, fiber and cable services. With 300Mbps wireless speed over 2.4GHz band, the TD-W9970 is a perfect choice for users. 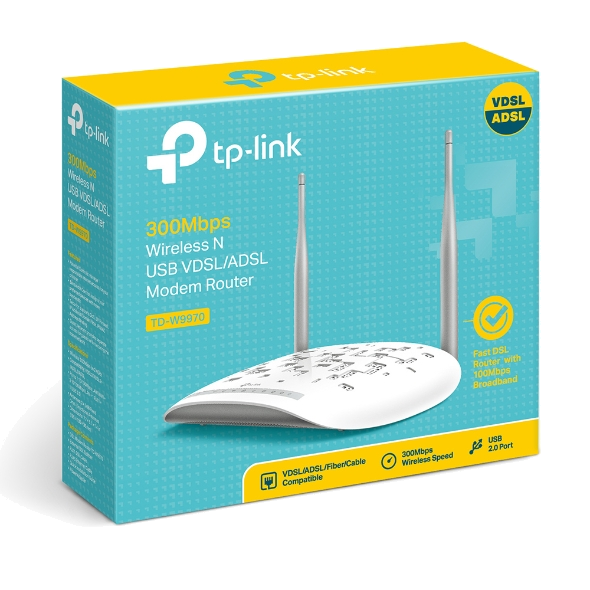 TP-LINK's TD-W8968 300Mbps Wireless N USB ADSL2+ Modem Router is an incredibly robust all-in-one device allowing users to access high-speed internet connection via ADSL or Ethernet WAN (EWAN). 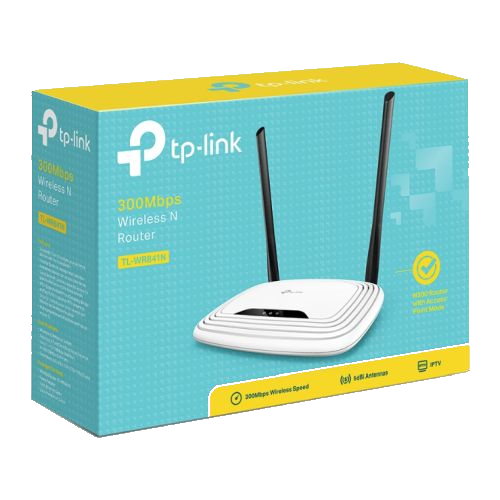 300Mbps Wireless N Router TL-WR841N is a combined wired/wireless network connection device designed specifically for small business and home office networking requirements.